I have just watched a video of Michelle Obama dancing in the Let’s Move campaign. What a great inspiration for people to get up and have fun. Luckily I found a fantastic zumba teacher near to my home and every week I spend at least three days a week jumping around like a mad woman to the varied beats. The youngest in our class started when she was about eight and the oldest is over 70 and even on the days that every joint is protesting, I go because dance brings a smile to my face and to my heart. 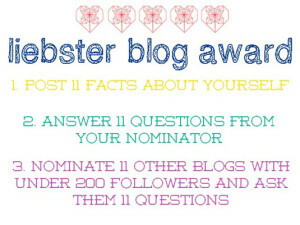 Firstly thank you to Nina of http://www.awritersfountain.wordpress.com for nominating my blog for the Liebster Award. I am touched by the tribute. I am doing my thing in stages as I am under pressure to finish my novel so forgive the delay but my own nominations will be made in a few days. 5. I am a course junkie and love studying. 6. I did a practical course about motor maintenance and used to be able to do all of my own car service. 7. I was on the cover of a motoring magazine in my younger days. 8. I had a poem published when I was 14 years old. 10. I read everything including the back of the cereal box. 11. I write from my dark side but am ever so jolly in real life. If you could go anywhere in the world, where would that be? Everywhere. I love travelling. 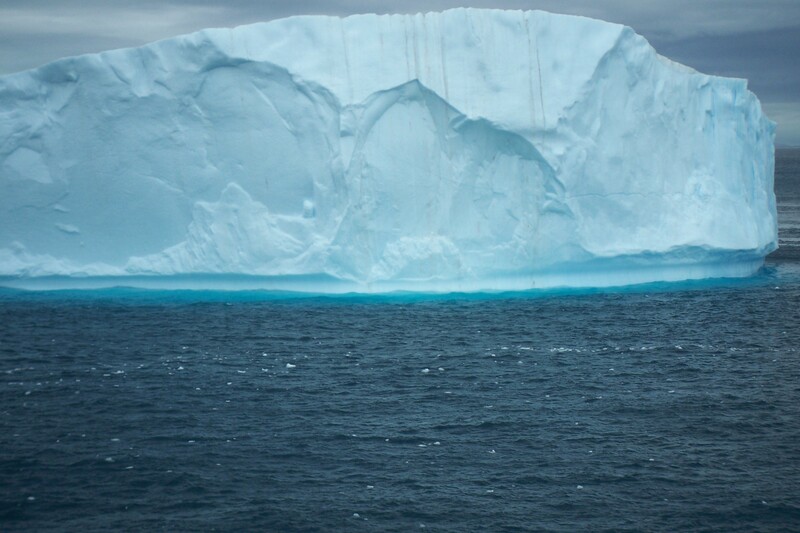 My favourite place was the Antartic – I couldn’t get enough of ice and penguins. The greatest lesson you have learnt in life? Happiness is being with people I love. Your hopes for the future? (Could be your future, the planet, your Country) To stay healthy and win the lottery so that I can give my kids a house. Name three things you did this morning. Went to gym (yuck), posted a competition entry, waved at someone out of my window. What was your first job? Breaking chicken at a fast food restaurant; then I got to toss the burgers. Who is your hero/ person you admire and are inspired by? My daughter. She has not allowed setbacks in life to get her down and reminds me that she is the greatest achievement in my life. If you could change 1 thing about yourself what would it be? I would have the energy that I had in my 20’s, the passion of my 30’s, the wisdom and patience of my 40’s; more than one I know but the list could go on. Have fun and display your banners proudly! Hi. I hope that you all remember me. I haven’t had time to write on my blogsite recently due to the difficulties of writing a realistic love scene. In my novel there is a lovely young heroine and a good looking young man and plenty of opportunity so it should be easy. Until I put pen to paper. Then it is disaster. Tantalising touch becomes heavy handed and the words become sticky – like glue. Instead of a scene of passion, my efforts read like a newspaper report. And so, I edit and re-edit and re-re-edit. And finally end up with a just passable love scene. In addition to my writing I have been zumba dancing to raise money for a cancer support charity. Five and a half hours was not good for the knees although it was a lot of fun and we did raise quite a bit of money. I have come to the conclusion that we zumbettes are mad. Some research was published recently which said that joint deterioration (particularly in the knees) can be due to too much or too little exercise. I am not sure which category I fall into. As one of my new writing projects I have started a blog http://withoutasense.blogspot.com.es/ about hearing loss. I am going to try to create an interactive site with some of the trials and tribulations, some of the humour, useful tips, new products etc, all connected with the subject of hearing loss. I am not totally deaf however when I was in my early 30’s I started noticing that I was missing words and sounds. Now in my mid 50’s I have had 20 years of experience of what it is like to live with reduced hearing. This is a condition which affects a huge number of people and can lead to social isolation for many. It can affect careers, home life, friendships and more. I have decided to take positive action to encourage others with hearing loss to avoid social isolation by promoting an open discussion forum about the condition. Pleases stop by and take a look at my blog. It is in the infant stages however I hope that with feedback it will grow and maybe in the future will be a source of support and inspiration to anyone who begins to notice they are turning up the volume. Yesterday I wrote on my blog that I had written my first short piece for http://www.stayfantastic.com. The above picture is a clue to the topic. This great new site will be addressing a variety of issues affecting those of us in our middle years. It will be live soon so don’t forget to have a look. If any of you middle agers out there have any suggestions for topics you would like us to cover please send me a comment here at writelindy.wordpress or stayfantastic.com. Someone here in the UK has performed a rain dance. It has rained so long that my friend said she is going to build an ark. The Olympics are taking place in about 2 weeks and every athlete will be participating in the swimming, whatever his or her discipline. The torch has travelled the entire country in wet conditions. So I have decided to think about why I like the rain. It makes everything green. The grass, trees and the mould which grows because nothing ever dries out. It makes a lovely pitter patter on the roof, 24 hours a day. I can hide my figure underneath my rain coat. I have lots of indoor time to write. Okay guys, it is now up to you. Tell me why you like the rain? or not? What is life like for the new Middle Agers? Are you able to buy clothes which reflect your style? What types of holidays appeal to you? Are you able to join in with local exercise classes, gyms, etc or are they aimed at the wrong age group for you? How difficult is it to meet people in middle age and why? Where do you meet new people? How is dating as a middle ager? The above are just some of the things which have come up in recent conversations with other middle agers. There have been many more. Please let me know what you think, what experiences you have had, etc. I haven’t been writing on my blog over recent weeks for a number of pitiful reasons. Sometimes life gets in the way of my writing and no matter how hard I try, when I eventually manage to sit down to write my eyelids fall with exhaustion. Now things are settling down once again with family celebrations over, medical matters dealt with and the chores just about finished and by next week I should be back in full writing mode. Don’t forget to let me know about your middle age experience.